Our Cover to Cover Book of the Month for November is Just a Minute by Yuyi Morales. 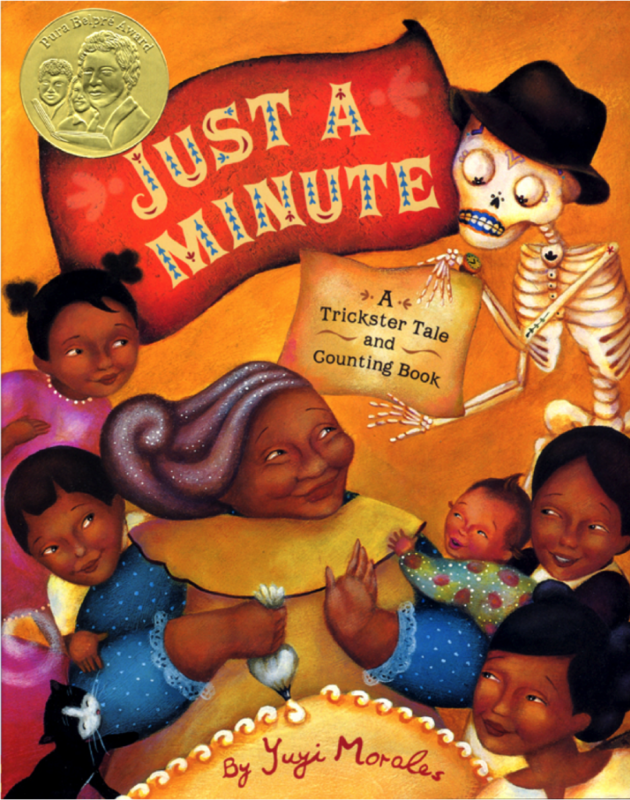 Just in time for the Day of the Dead, Just a Minute is a beautiful tribute to all of the lovely abuelas in our lives, a celebration of Mexican food and culture, and even an age-appropriate introduction to the topic of death. It’s also a fabulous counting book! Send a picture of you and your child with all the objects you collected. Be creative! We can’t wait to see what you loved about Just a Minute!